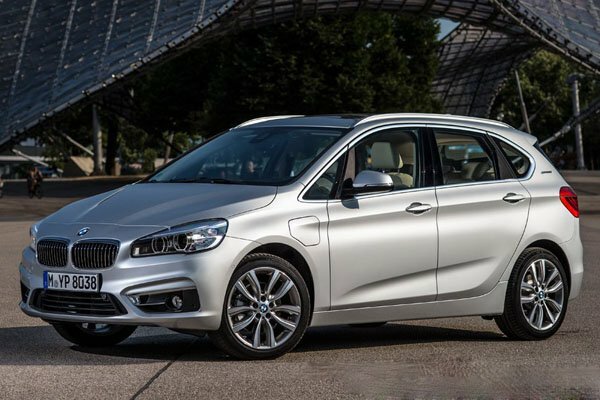 Comfortable, practical and economical, the BMW 2 Series Active Tourer 225xe is a future-proof and family-proof MPV that makes sense moving forward. Authorised Distributor BMW cars are BMW 1 Series Hatchback, BMW 2 Series Active Tourer, BMW 2 Series Convertible, BMW 2 Series Coupe, BMW 2 Series Gran Tourer, BMW 3 Series Sedan, BMW 4 Series Convertible, BMW 4 Series Coupe, BMW 4 Series Gran Coupe, BMW 5 Series Plug-in Hybrid, BMW 5 Series Sedan, BMW 6 Series Gran Turismo, BMW 7 Series, BMW i3s Electric, BMW i8 Coupe, BMW i8 Roadster, BMW X1, BMW X2, BMW X3, BMW X4. Parallel Imported BMW cars are BMW 2 Series Active Tourer Diesel, BMW 2 Series Gran Tourer, BMW 2 Series Gran Tourer Diesel, BMW 3 Series Plug-in Hybrid, BMW 3 Series Sedan, BMW 4 Series Convertible, BMW 4 Series Coupe, BMW 4 Series Gran Coupe, BMW 5 Series Sedan, BMW 5 Series Sedan Diesel, BMW 5 Series Touring, BMW 6 Series Gran Coupe, BMW 6 Series Gran Turismo, BMW 7 Series, BMW 7 Series Diesel, BMW i3 Electric, BMW i8 Coupe, BMW X1, BMW X2, BMW X3, BMW X3 2011, BMW X4, BMW X5, BMW X5 Diesel.